This report is the first in a series of reports entitled Out in the South. 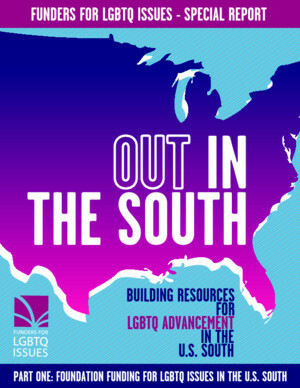 This first report, Part One: Foundation Funding for LGBTQ Issues in the U.S. South, explores the underfunding of LGBTQ communities in the U.S. South in comparison to the rest of the country. It identifies who is funding in the South, and examines the issues and strategies currently being funded.